A growing number of fast food restaurants are selling wine and beer, including selected restaurants in the Sonic and Burger King chains. The move is intended to help fast food restaurants compete with casual dining establishments. Tequila tourism is drawing more visitors to Jalisco, Mexico, the Associated Press reports, as Tequila consumption has surged 45% in the U.S. over the past 5 years. Italian beverages maker Gruppo Campari will consider “meaningful acquisition opportunities” in markets such as Brazil, Russia and the U.S., said Bob Kunze-Concewitz, the company’s chief executive. 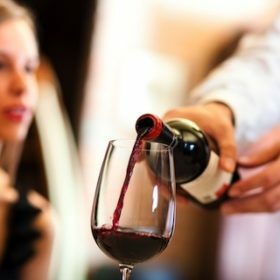 In a study of 129,000 wines from vineyards across Europe and the New World, over a 16 year period, the American Association of Wine Economists found that 57% of the wines analyzed were stronger than declared on the label. The “systematic” nature of the revisions drew fire although the discrepancy is relatively small: The average alcohol content was 13.6%, although the average reported strength was 13.1%. We are sad to report that on Thursday, June 30, New York Finger Lakes wine and food pioneer Debra Whiting died in a car accident. She is survived by her husband and two sons.